What happens when the biggest viral song of 2014 crosses paths with the biggest Sonic release this year? This apparently. In a similar move to last year, The Sonic Show are celebrating their 8th anniversary by taking a Sonical spin on the years largest viral tune. 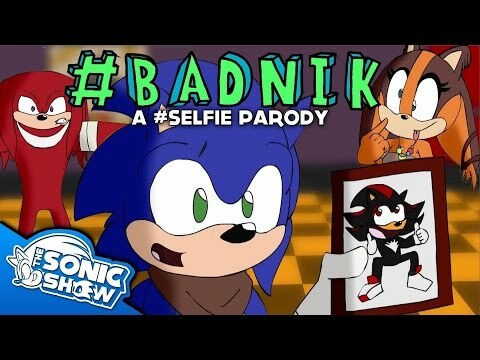 The 2014 parody takes the animation route by featuring the talents of three different animators plus including the best #BADNIK smashing #SELFIES (that’s a lot of hashtags) submitted by their audience in a art contest run earlier this year. Not only do they cover the expected ground of the most noticeable complaints from the community over the Boom redesigns, they also still find time to make a small dig at Sonic 06, quite fitting when some are calling Boom “Sonic 14″. Happy Anniversary The Sonic Show! Sound Test Saturday: A Funky Premiere of Green Symphonies! Hello, readers! I hope you’ve all had a wonderful week through April’s first seven days. If not, then hopefully this is the sort of that is sure to boost your spirits! Ladies and gentlehogs, you are now reading the premiere article of an all new weekly column: Sound Test Saturday! Just like Mash-Up Mondays feature music mash-ups between Sonic and any other party, Sound Test Saturdays will highlight music – original compositions, covers, or remixes – made by the Sonic community. That’s right! Sound Test Saturdays will concentrate on music created by you! Continue reading Sound Test Saturday: A Funky Premiere of Green Symphonies! SEGA has started a very familiar campaign called ‘Concept Art Friday’ which will see SEGA release concept art for Sonic the Hedgehog 4: Episode 2 every Friday on their blog and on Sonic’s Facebook page. 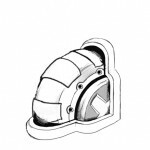 To kick things off, SEGA has today released two images on their blog of what appears to be a wheel switch from Sonic the Hedgehog 3′s Marble Garden Zone and an image on Sonic’s Facebook page of a new badnik. Check back next week for more. In the meantime, let us know what you think of SEGA reusing this marketing strategy in the comments section. It’s Thursday and it’s 7PM GMT so what does that mean? You’re right, it’s the official Sonic The Hedgehog 4 Episode 1 webpage content unlock. 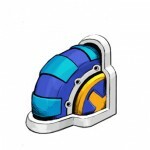 What goodies do SEGA have in store for us this time? 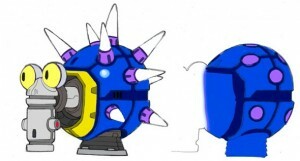 More in game Badnik art and Concept art? Correct again. This time it’s a “new” version of Marble Garden’s floating spiky fish thing; Bubbles. 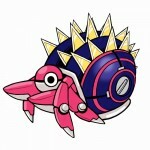 So yeah, it looks like the dude from Sonic 3 but more so. The description seemingly reveals the global recession has also hit Eggman so “budget cuts” mean some versions of the Badnik don’t even have spikes. I swear I’m not making that up. We are warned about the “Red Ones” though, which sounds like a more vicious variant. Check out the website for full sized images and hold on tight for next weeks update of, you got it, more Badnik and Concept art!